Verisign, Inc. (VRSN): Are Hedge Funds Right About This Stock? Is Verisign, Inc. (NASDAQ:VRSN) a good stock to buy right now? We at Insider Monkey like to examine what billionaires and hedge funds think of a company before doing days of research on it. Given their 2 and 20 payment structure, hedge funds have more incentives and resources than the average investor. The funds have access to expert networks and get tips from industry insiders. They also have numerous Ivy League graduates and MBAs. Like everyone else, hedge funds perform miserably at times, but their consensus picks have historically outperformed the market after risk adjustments. Verisign, Inc. (NASDAQ:VRSN) shareholders have witnessed an increase in hedge fund sentiment in recent months. 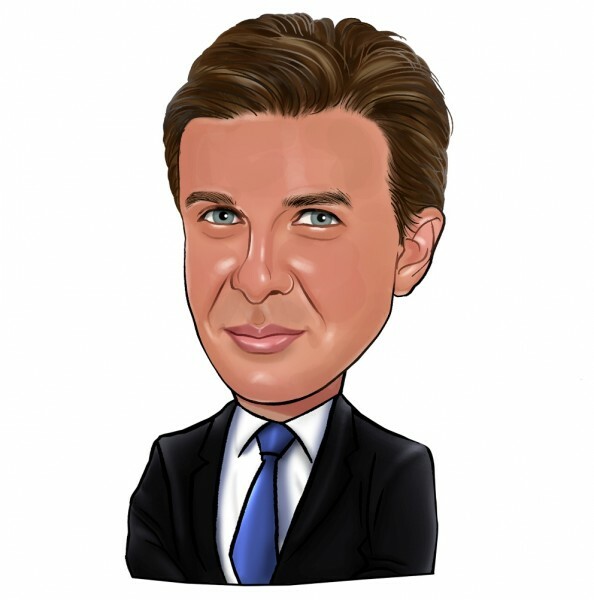 VRSN was in 30 hedge funds’ portfolios at the end of the fourth quarter of 2018. 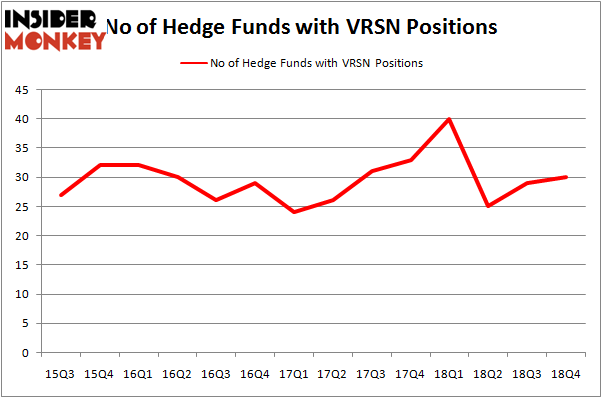 There were 29 hedge funds in our database with VRSN positions at the end of the previous quarter. Our calculations also showed that VRSN isn’t among the 30 most popular stocks among hedge funds. Let’s analyze the recent hedge fund action regarding Verisign, Inc. (NASDAQ:VRSN). What have hedge funds been doing with Verisign, Inc. (NASDAQ:VRSN)? Heading into the first quarter of 2019, a total of 30 of the hedge funds tracked by Insider Monkey were long this stock, a change of 3% from the previous quarter. By comparison, 40 hedge funds held shares or bullish call options in VRSN a year ago. So, let’s check out which hedge funds were among the top holders of the stock and which hedge funds were making big moves. More specifically, Berkshire Hathaway was the largest shareholder of Verisign, Inc. (NASDAQ:VRSN), with a stake worth $1920.8 million reported as of the end of September. Trailing Berkshire Hathaway was Renaissance Technologies, which amassed a stake valued at $1042.6 million. D E Shaw, Cantillon Capital Management, and AQR Capital Management were also very fond of the stock, giving the stock large weights in their portfolios. As industrywide interest jumped, key money managers were breaking ground themselves. BeaconLight Capital, managed by Ed Bosek, established the largest position in Verisign, Inc. (NASDAQ:VRSN). BeaconLight Capital had $26.6 million invested in the company at the end of the quarter. Robert Pitts’s Steadfast Capital Management also initiated a $8.5 million position during the quarter. The other funds with new positions in the stock are Benjamin A. Smith’s Laurion Capital Management, and George Zweig, Shane Haas and Ravi Chander’s Signition LP. Let’s check out hedge fund activity in other stocks similar to Verisign, Inc. (NASDAQ:VRSN). We will take a look at Palo Alto Networks Inc (NYSE:PANW), Cintas Corporation (NASDAQ:CTAS), Credicorp Ltd. (NYSE:BAP), and POSCO (NYSE:PKX). This group of stocks’ market values are closest to VRSN’s market value. As you can see these stocks had an average of 26 hedge funds with bullish positions and the average amount invested in these stocks was $950 million. That figure was $4391 million in VRSN’s case. Palo Alto Networks Inc (NYSE:PANW) is the most popular stock in this table. On the other hand Credicorp Ltd. (NYSE:BAP) is the least popular one with only 14 bullish hedge fund positions. Verisign, Inc. (NASDAQ:VRSN) is not the most popular stock in this group but hedge fund interest is still above average. Our calculations showed that top 15 most popular stocks among hedge funds returned 19.7% through March 15th and outperformed the S&P 500 ETF (SPY) by 6.6 percentage points. Hedge funds were also right about betting on VRSN as the stock returned 22.5% and outperformed the market as well.